The purpose of our vocational programming is to support adults with disabilities and youth with special challenges gain employments skills. Ariel has several different internal job programs where individuals learn basic employment skills: The Blank Canvas Café and The Studio in Colorado Springs, Whaz Up Dawg and Charley’s Cookies in Grand Junction, and work crews in both locations. Individuals have an opportunity to earn money while they master their training. Once basic skills are learned individuals can move to supported employment in the community. “Whaz Up Dawg!” is operated in Grand Junction by youth in transition and adults with developmental disabilities. Together, they are learning necessary vocational skills needed for success in the community while in a safe and nurturing environment. 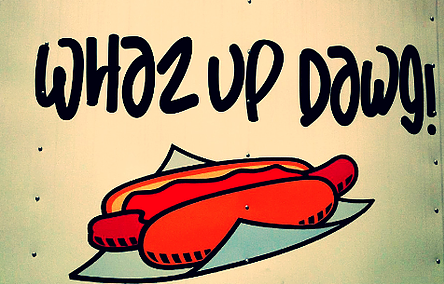 Whaz Up Dawg is a hot dog cart business that serves as a training site, providing a stepping stone for future community employment. Individuals begin by filling out an application and going through an interview process, thereby starting to learn important skills related to finding a job. They then earn their Mesa County Food Handler’s Card through the Mesa County Department of Health, which enables them to safely and legally handle food. While at work at Whaz Up Dawg, individuals learn various skills, including money management through working the cashier position and increased social skills through great customer service training. In addition, they learn to work the grill to provide a safe and delicious lunch experience. Employees of Whaz Up Dawg also learn how to take inventory, shop for supplies, restock, clean the food cart using proper procedures, and launder aprons and other materials. Whaz Up Dawg is a great way to learn the skills that will support a future in community employment, while being safe and having fun! 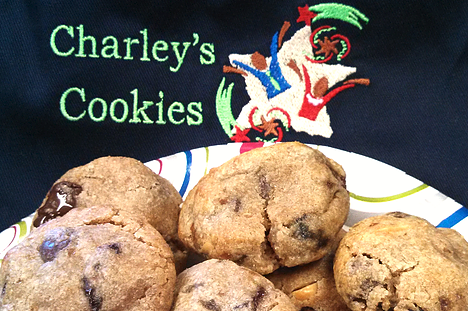 Charley’s Cookies is currently operated out of a commercial kitchen operated on-site at the Ariel office in Grand Junction. Individuals gain their food handlers certification through the Public Health Department. They learn different aspects of food preparation, packaging, cleaning, and how to work in a team. Visit the Charley’s Cookies website to order your cookies today! You will be proud to know that my 4 year old son is addicted to Charley’s Cookies and is still talking about the cookies he ate last Christmas! They are known as “cookies from the office”. 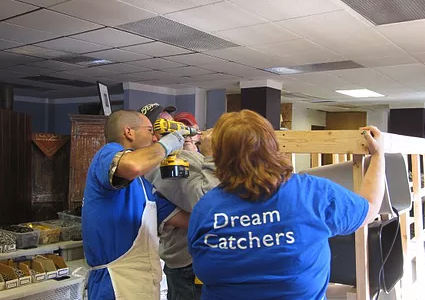 Our team is dedicated to enhancing and enriching the lives of the people we serve. The Blank Canvas Cafe and The Studio (formerly Dream Catchers) are unique Ariel vocational programs for individuals with disabilities. For individuals who work at the café, we provide training for positions in a restaurant career including: culinary, kitchen prep, line cook, busser, barista, and server. Our menu includes breakfast, lunch, and pastries made fresh and in-house daily. We also offer specialty coffee and imported teas. At The Studio, individuals learn skills to help them generate self-employment income. They create handmade goods in The Studio that are sold in The Blank Canvas Café where their works are featured alongside local artists. All the goods created by the program are made from donated recycled materials (please see below for contact information to donate materials). They also receive training in customer service, salesmanship, and craftsmanship skills. The art made by the Studio apprentices is also available to purchase online at our Etsy store. Find a new piece of art here for yourself or to give as a gift and support our self-employed apprentices. 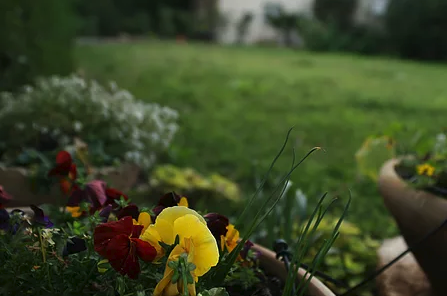 Other training programs provided by Ariel include janitorial, handy man, and maintenance training that extends to the Cafe or other businesses throughout our community. We also host Cork and Canvas private painting parties! Enjoy a night out with friends by scheduling your own Cork and Canvas private celebration or event. Choose your painting from our wide selection of images located in our online picture gallery under the Cork and Canvas menu. We require a minimum of 6 people. We provide the canvas, brushes, and paint and you and your friends get to be the artist. Please visit the Cork and Canvas page for more information or to set up your private party. Included in our Vocational services is a program in which we help adults with intellectual or developmental disabilities successfully work in the community. We started this program in 2015 and have been growing ever since. We first help individuals find employment by helping them through the process of identifying potential jobs, applying, and interviewing. Once an individual has a job, our job coaches work with them to help them be completely successful in their new position. This includes time and task management strategies, conflict resolution, customer service, and many other skills. We have individuals working at many locations including: Wal-Mart, Home Depot, Safeway grocery stores, local restaurants, a veterinary office, and the Quality Inn.